The Short Mountain Repeater Club (SMRC) will be hosting a summer tailgate and emergency fair. 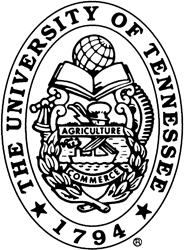 It will be on August 25 from 7:00 AM to 1:00 PM at the Mid-TN Expo (map). Admission and parking will be FREE. Among the items that will be on sale are ham radio gear, emergency communication equipment and emergency supplies. More information can be found on their announcement page. Big congratulations go to Cathy Goodrich KK4IWN on passing her General license test. 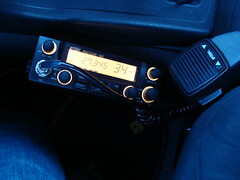 Amateur Radio, sometimes called “ham radio,” is an exciting hobby that you can join! It doesn’t matter whether you’re technically inclined or not. Technology is just one part of Amateur Radio; it’s also about having fun, helping people, serving your country, socializing, and making connections that span cultures and continents. And, we’re here to help you get started. Are you interested in computers? How would you like to build a wireless WAN that you can reliably use 50 miles away, from your car? Maybe you’re studying foreign languages. Well, you can get lots of practice conversing with native speakers, day or night, for free. And the camaraderie among the millions of Amateur Radio operators around the world is legendary. If you travel, you’ll automatically have new friends every place you go. 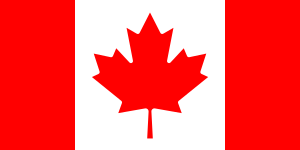 The Calgary Amateur Radio Association will be operating special event station CK6S from July 5 to 15th. This to celebrate the 100th Anniversary of the Calgary Stampede. The Calgary Stampede is an annual rodeo, exhibition and festival held every July in Calgary, Alberta, Canada. The event’s roots are traced to 1886 when the Calgary and District Agricultural Society held its first fair. In 1912, American promoter Guy Weadick organized his first rodeo and festival, known as the Stampede. He returned to Calgary in 1919 to organize the Victory Stampede in honor of soldiers returning from World War I. Weadick’s festival became an annual event in 1923 when it merged with the Calgary Industrial Exhibition to create the Calgary Exhibition and Stampede. The ham radio special event station CK6S plans to use frequencies in the general portion of the United States phone bands. These will be around 3.825, 7.180, 14.250, 21.320 and 28.475 MHz. A special QSL card will be available through the QSL bureau or direct by following the CK6S/VE6AO QSL instructions at QRZ.com. The pictures for the Field Day 2012 event have been posted. 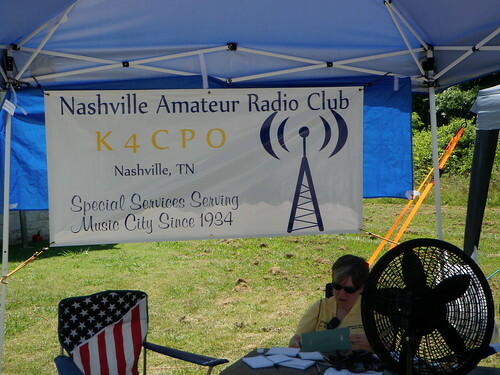 If you have any pictures you would like to send us, send it to Martha at nashvilleamateurradioclub@yahoo.com. I will update this as more pictures get posted. Thanks to Martha KJ4RIQ and Paul KJ4WQN for the pictures. UPDATE: I’ve updated the pictures with ones from Mike AK4UK and Jim WA4VGZ. In order to accommodate the pictures taken by members, a Flickr group page has been created for the club. The address is http://www.flickr.com/groups/k4cpo/. Group members can upload pictures and have them appear on the web site. In order to be accepted for inclusion, pictures must follow the posted group rules. Summer is the peak season for one of the nation’s deadliest weather phenomena—lightning. But don’t be fooled, lightning strikes year round. The goal of this Website is to safeguard U.S. residents from lightning. In the United States, an average of 54 people are reported killed each year by lightning. To date, there have been 4 deaths in 2012. Hundreds of people are permanently injured each year. People struck by lightning suffer from a variety of long-term, debilitating symptoms, including memory loss, attention deficits, sleep disorders, chronic pain, numbness, dizziness, stiffness in joints, irritability, fatigue, weakness, muscle spasms, depression, and more. Lightning is a serious danger. Through the Nation Weather Service Lighting Safety Web site we hope you’ll learn more about lightning risks and how to protect yourself, your loved ones and your belongings.